In accordance with the Hebrew calendar, tomorrow - the twentieth day of the month of Av - we remember our daughter Malki's life and its tragic and cruel end. 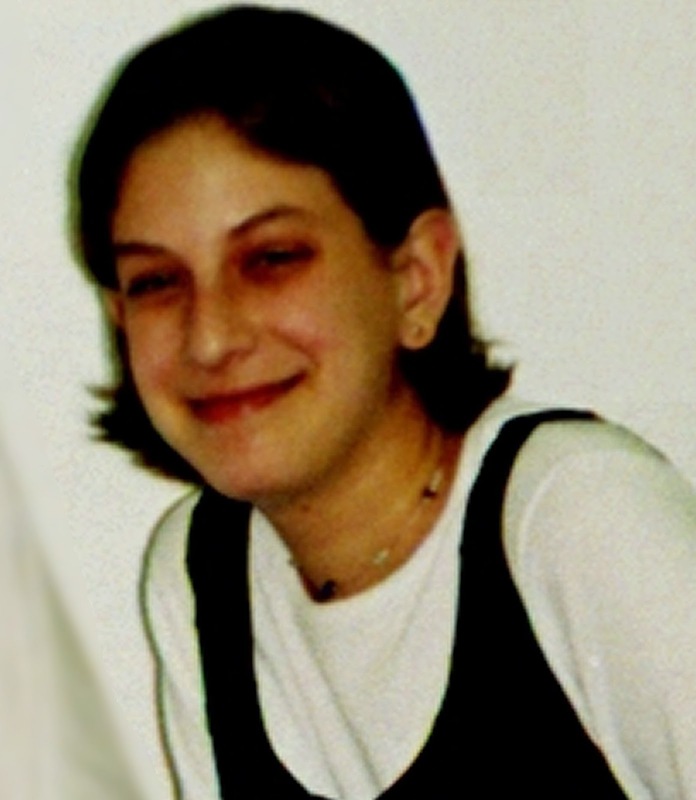 On that date, thirteen years ago - August 9, 2001 - she was one of fifteen innocent people murdered in a Hamas human-bomb attack directed, after careful planning and research, at a pizza shop located at one of the capital of Israel's busiest intersections. Frimet Roth honours our daughter's memory with this op-ed published today by the Times of Israel. In the wake of Operation Protective Edge, Israel is enduring an unprecedented deluge of condemnation. This is trying for the entire nation but is especially infuriating for families like mine. The crux of the vitriol is the large number of Gazan casualties in this latest conflict who were children. The blame for this is planted squarely at the feet of the Israel Defense Forces for firing at an enemy that attacks from positions in close proximity to those children. Most Israelis are aware that our army was forced to do so in order to protect its own civilians. In contrast, scores of Jewish children were targeted and murdered in cold blood by that same enemy during the Second Intifada. Yet few remember them; their stories have been virtually erased from the Palestinian-Israeli narrative. But we have not forgotten and we never will because our precious fifteen year old, Malki, was one of them. In those pre-security-fence days between 2001 and 2003, when Israel was shockingly lax about enemy infiltration, Hamas was able to invade our borders practically unimpeded. It executed a series of bloody terror attacks against us without any missiles or tunnels. 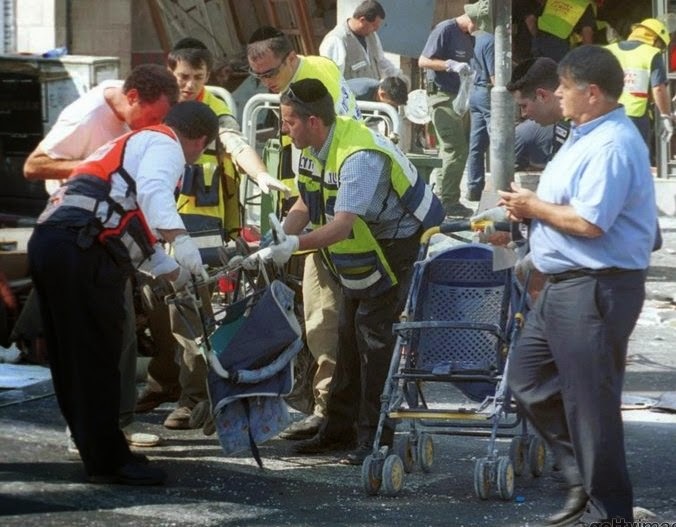 On a near-weekly basis, innocent Israeli men, women and children perished at their hands. Neither the United Nations Human Rights Council nor its predecessor, the UN Commission on Human Rights, ordered an inquiry into those violations of our human rights. If challenged about that apathy, the UN would probably have pointed out that Hamas was a mere rag-tag terror group and as such lay outside their purview. But since 2007, Hamas has been Gaza's democratically elected government operating under the same principles which guided it previously. My daughter's murderer, Ahlam Tamimi, is proof of that. One of the most productive, lauded and evil operatives Hamas ever had, Tamimi was released along with 1,026 other terrorists in the Shalit Deal which Hamas wrung out ofIsrael in 2011. I entered a [terrorist] cell. A cell is constructed by having a leader, then there are different groups; each one is divided into itself... You do not know who the leader is... First, I scouted places to decide where to carry out Jihadi operations... I would wander into Jerusalem to find the best spots to carry out these missions... First, I would scout stores and major shopping malls… schools, restaurants… I would then present my findings to the leader of the cell... I would do a meticulous count on the numbers of people moving in these areas and study it mathematically. I would use my wrist watch and count how many were walking in an area within one hour. So I would make reports that if an operation is conducted in such and such area. Then I would estimate the numbers of casualties; in some cases my number would be 30 Israelis will die and other estimates it would be 50 Israelis that will die... So from this time to that time there would be 70 Israelis who entered this spot. So during lunch for example, from this time to that time, so many Zionists enter this area. The school for example, I would study the morning time when school children would enter. It would be convenient to argue that Tamimi committed that massacre in a bygone era. One could be deluded into believing that Hamas has matured with time; that it has evolved into a sane pragmatic entity; that it has discarded the ethos embodied by Tamimi and her cohorts. But Tamimi remains a key part of Hamas’ war against Israel. Throughout Operation Protective Edge, Tamimi played a major morale-boosting role for the Gazans. She hosted a series of hour-long "resistance" programs, broadcast throughout the Arabic speaking world via the influential and globally-accessible Al Quds satellite television channel. Over the past two years, Al Quds has carried Tamimi’s weekly program, "Naseem Al Ahrar" (“Breezes of the Free”) celebrating the Islamist terrorists imprisoned in Israel. Those Al Quds programs are regularly uploaded to YouTube, often in high-definition quality. Her message of incitement against Israel and Jews is plainly one that Hamas is eager to disseminate widely. Israel's critics in the West seem incapable of acknowledging the evil of the Hamas ethos and its goals. Of Tamimi, the Hamas Wonder Woman, they seem basically unaware. In fact, Tamimi, who notoriously smiled with pleasure when she learned that there were eight dead children among the victims of the Sbarro massacre, is not even on their radar. My husband and I must live each day with the painful realization that Tamimi is spewing her venom unhindered, while our pure, sweet kind Malki is gone. The following is Malki’s journal entry after the June 2001 terror attack on a Tel Aviv discotheque frequented by teenage Russian immigrants. She had spent that Saturday at a retreat (a Shabbaton) conducted by the youth movement to which she belonged. Her words convey the angst she and her friends suffered during those days of unabated terror attacks in Israel. "There was one question that I really didn't understand. I just couldn't manage to understand. How is it that if everything is predetermined and known beforehand in Heaven? How is it that we are able to "remove the evil decree" and change things? It took Meir [the counselor] three hours to explain this, ‘till 3 in the morning. In the end, I understood it so well that now I explain it to my friends... Everything is known beforehand [but] without the element of time, and it is known that when you pray, you cancel a terror attack… At the morning prayers, we were notified that there had been a terror attack at the Dolphinarium in Tel Aviv last night and that there were many killed. That was it. I fell apart. Rafi's [another counselor] group gathered in our room and everybody just cried. We were broken. When Rafi arrived he made kiddush and simply didn't know what to do. He truly didn't know what to tell us." The threat to Israel's existence posed by Hamas will not be eradicated until the world recognizes the special role that the murder of children has always had, and continues to have, in the Hamas outlook on life. Beautiful, moving piece. Though I have few links to blogs on my site I've linked to yours for the powerful, lived messages you share.